‘Tis the season to prep and polish toes for spring break trips and soon-to-be sandal weather! It is also the season of pedicure safety myth-busting. Myth #1: A good pedicure will leave your feet baby soft. We have calluses to protect our feet. A safe pedicure will gently soften the callus, but won’t cut it. Razors and graters that cut or aggressively file calluses are illegal in Iowa and many other states (though some salons still use them) Cutting calluses can open you to infection and will make them grow back harder. We use a safe foot file that we send home with you so you can continue gently softening your calluses safely over time. Myth #2: You should to bring your own tools to a nail salon to avoid infection. If you feel like you need to bring your own tools to your nail salon, you probably need a new nail salon. Salons are required by law to properly sanitize tools in an EPA Registered disinfectant like Barbicide (the blue liquid), or by heat or steam sterilizing them. We use both Barbicide AND heat sterilization for our metal tools. Sterilized tools are then sealed until use. Porous tools like files, buffers, flip flops, toe separators and wooden sticks must be immeidatly disposed of or given to our guests to take home. If a salon re-uses disposable tools, it is likely they are cutting other safety corners too. If you bring your own tools, it is unlikely that they are sterilized to our standards. If they’ve been rolling around in your purse, car, or make-up bag in a punctured Ziplock, they are likely contaminated with bacteria or debris that can cause infection. Just because those tools are only used on you doesn’t mean they are clean! If you have any doubt about your salon’s sanitary standards, ask them! Salons that do things the right way are always proud to discuss their sanitization proceedures. 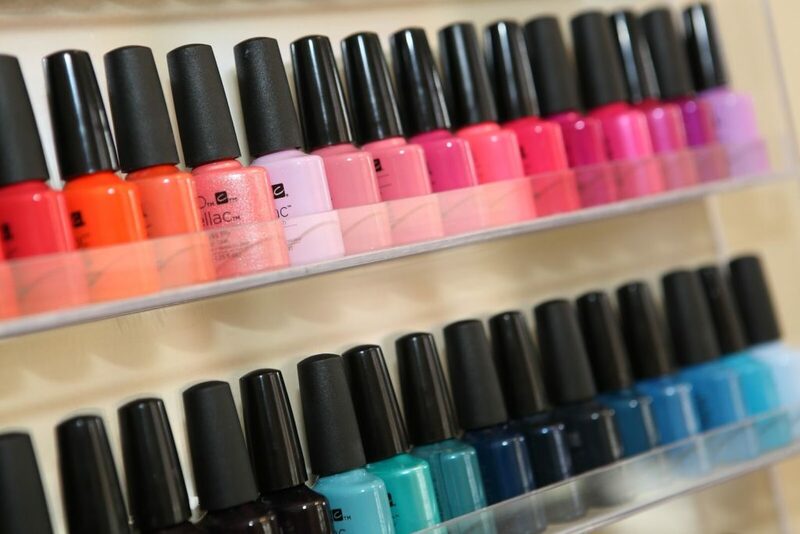 Myth 3: I need to bring my own nail polish to a salon. Nail polish at a reputable salon is safe. By the time it is applied to a guest, their nails have been cleaned sanitized. Our polishes are also selected for safe ingredients. Guests who come with a diseased toenail are required to go without polish or purchase a bottle to keep. We do not use shared polishes on these guests for everyone’s safety. If you bring your own, it might not look as great as we’d like. Different consistencies and brush sizes mean that our nail technicians aren’t going to get the same results they get with the brands they trust and use every day, plus they may not combine well with our top coats. Myth 4: It’s “just a pedicure.” Laws and regulations are excessive. Several states are facing legislation to try to reduce licensing in cosmetology professions. In Iowa, licensed cosmetologists and licensed nail technicians can legally do manicures and pedicures. They spend hundreds of hours training in not only how to make your nails look good, but to learn how to identify nail health concerns, infection control, safety techniques, and chemistry of products they use. They have to take regular continuing education including topics like safety, sanitation, and the law. Licensed nail technicians and cosmetologists are subject to oversight by the department of public health. We’ve all heard nail salon horror stories. Many of these issues are caused by salons that are not following the laws. Insist that the person giving you a pedicure is educated and practicing legally. The salon license and every individual nail technician or cosmetologts’ licenses are required to be posted in the business. Ready to book your safe pedicure at East Village Spa? Click here to book online! Remember, wherever you go, it is ok to ask questions. If your gut tells you something isn’t right, it is ok to end the service and leave. Your health is worth it.